CEO James Warburton says Supercars is currently discussing ‘a range of options’ with Australian GT organisers over the future management of the category. Speculation that Supercars will take a managerial role in the category has mounted at the Red Rooster Sydney SuperSprint, where Australian GT is running a 501km support race. Supercars already has a significant investment in GT racing in Australia through its management of the Liqui-Moly Bathurst 12 Hour. It invested in the Bathurst event two years ago after a mooted takeover of Australian GT failed to materialise. Supercars has meanwhile placed a heavy emphasis on beefing up its support card in recent times, rebranding its second-tier Dunlop Super2 Series while also moving to establish the new SuperUtes class. When approached about Supercars’ current position with Australian GT, Warburton said that discussions are ongoing. “We’ve got great relationships with all of our support categories and we have a vested interest in the health of the GT category given that we run a world class 12 Hour GT race at Bathurst,” Warburton told Supercars.com. “There are a whole range of options that we’ve been discussing with owner Tony Quinn for some time, but at the moment no deal is done and the talks may or may not see an outcome. “We want to see a strong GT category and have a common interest with Tony to either manage it or engage in some sort of joint venture. “Tony has done an incredible job building the category but really now it needs more resource and organisation to take it to the next level. Australian GT has attracted a 17-car grid for this weekend’s race, which is a round of its Australian Endurance Championship. 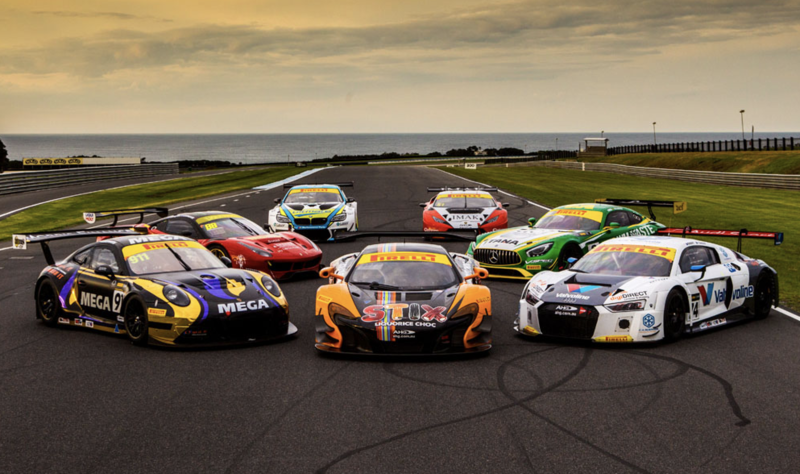 Six of Australian GT’s nine events are run alongside the Supercars, including its Australian Grand Prix support races.